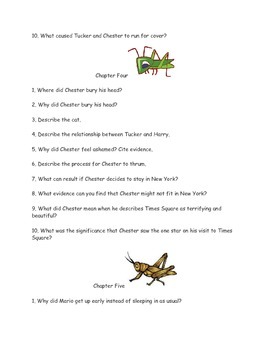 CCSS Text Based Novel Questions "Cricket in Times Square"
Beneficial for large groups, small groups, and RTI groups, and individuals.. Students are required to provide constructed responses which help in the preparation for PARCC. Quote accurately from a text. Determine meanings of words based on context clues.